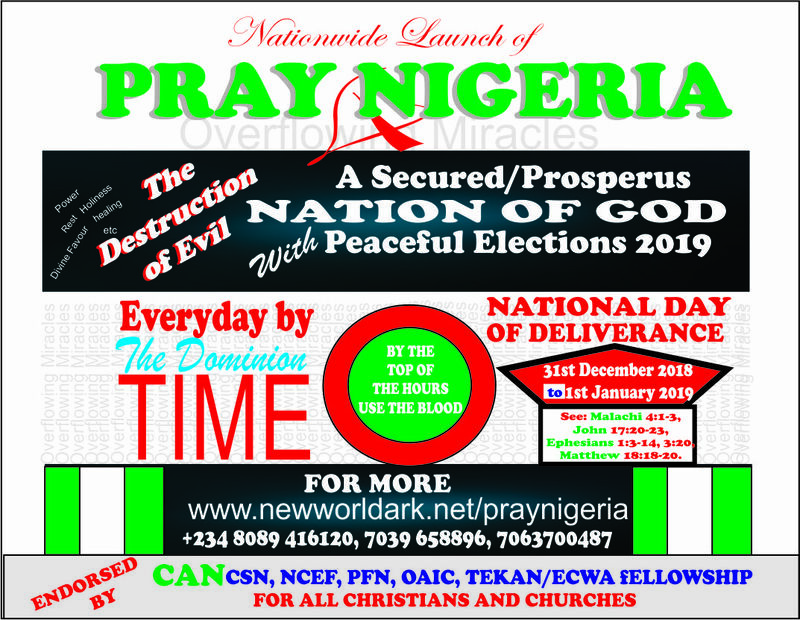 The Time Redemption Prayers (TRP) is God’s revelation of the unity structure of Christians in Prayers in any country and all over the world for massive divine intervention. It reveals a specific time by which a unity prayer should be held by all children of God irrespective of their locations. 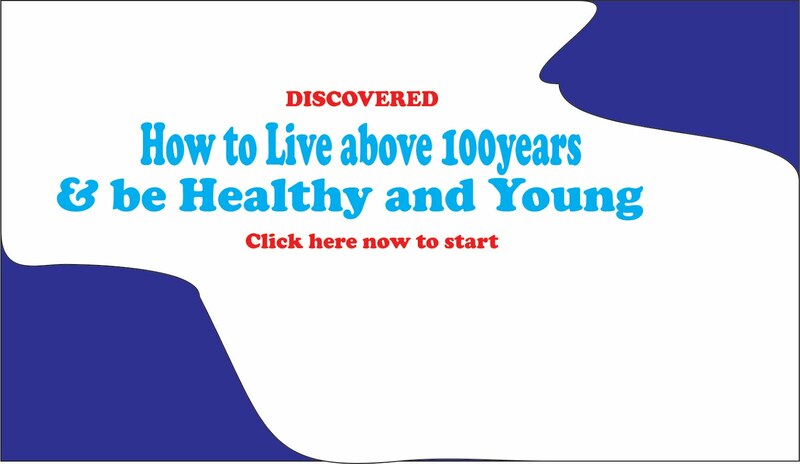 The time is between 11pm-1am by night and at 12noon by day daily. It is God’s power to help mankind destroy evil and it is man’s selfless and sacrificial work of faith to pray by the Time Redemption principle. You may not pray because you fear evil since there is a hope in death. But pray because it is your RIGHT and DUTY to pray and to pray according to GOD’S WILL AND PLAN OR TIME. 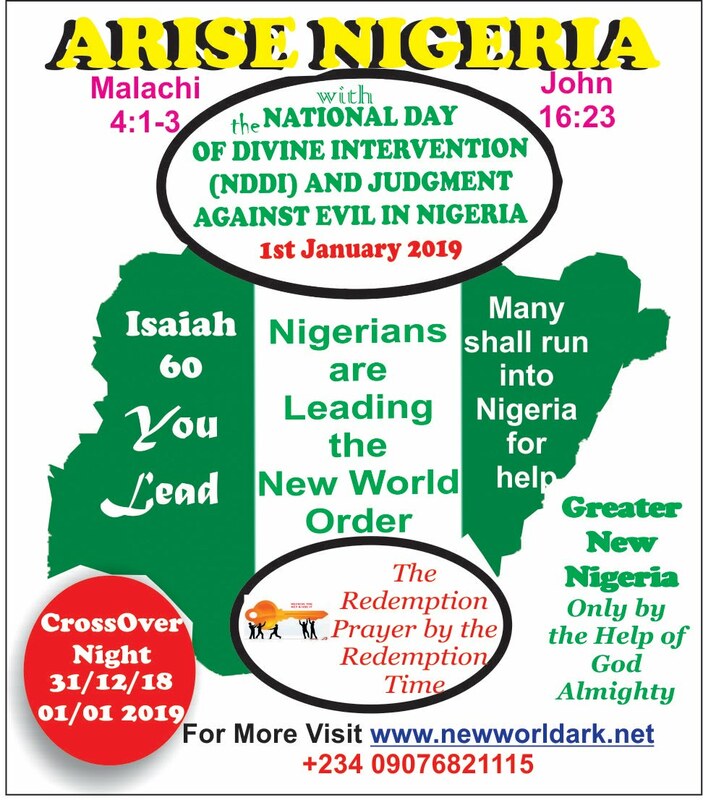 Although according to the scripture, it should be daily yet a NATIONAL DAY has been set up by God for massive intervention in Nigeria and for everyone to use or enforce the principle of the time redemption in faith. It may now be clear to everyone that the solution Nigeria needs is clearly divine for leadership, security and otherwise as being revealed. The Time Redemption Prayers is the most selfless service that is needed now and for this purpose. 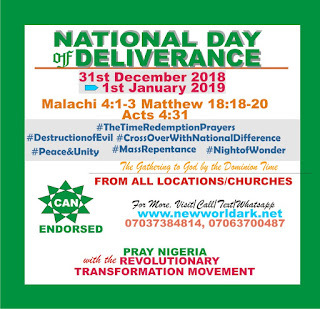 A SET DAY OF NATIONAL DELIVERANCE: 31ST DECEMBER 2018- 1ST JANUARY 2019. 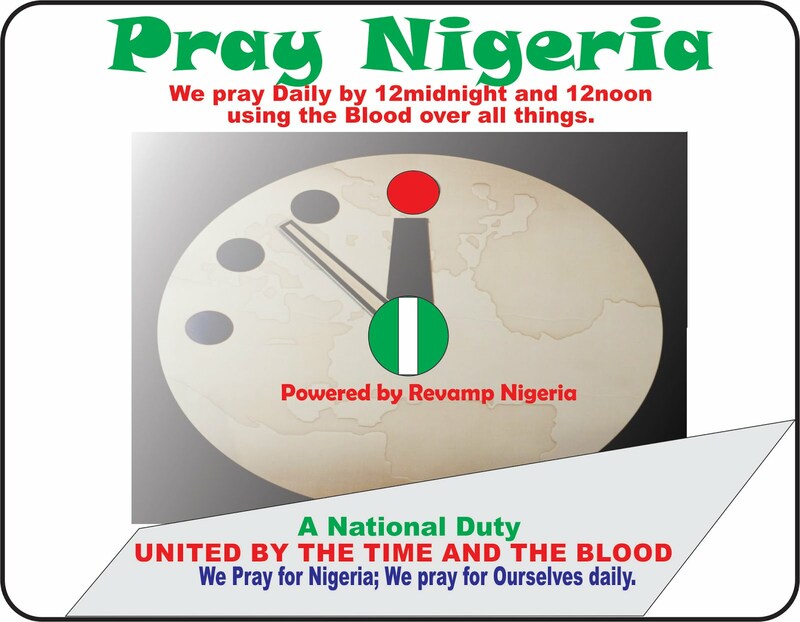 Ø By 11pm, 12midnight, 1am and 12noon, you should plead the Blood of Jesus Christ on Nigeria, yourself, city/land/state, and on the date/day. This should be the unique difference of this day from the normal Crossover service: personally or collectively. 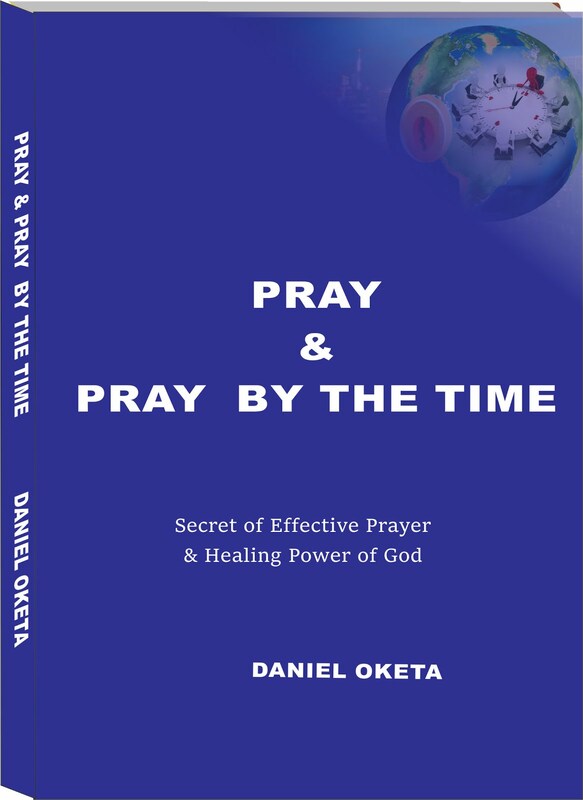 Ø You should use the TIME REDEMPTION PRAYERS from your location (home, work, or inside a church, on the road etc). Don't forget the 12noon also. 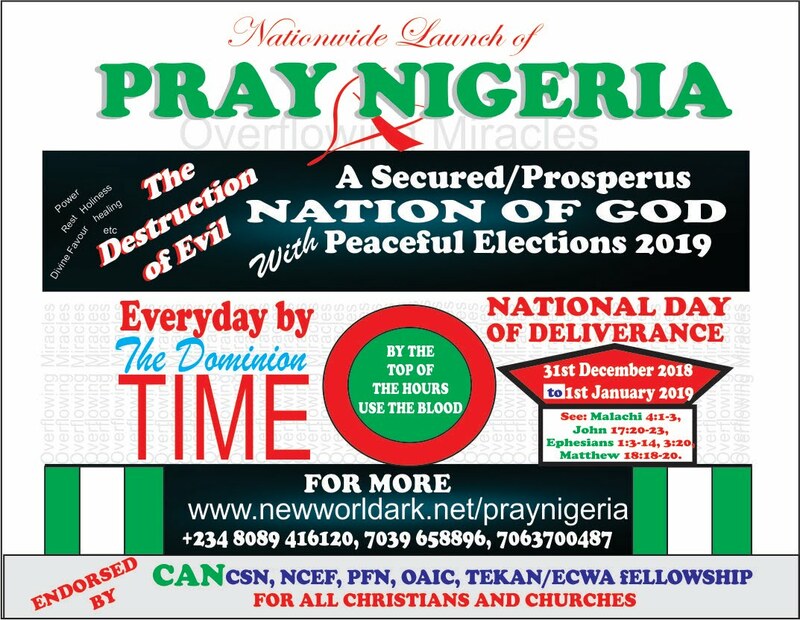 Ø There shall be diverse numerous miracles and Interventions of God in you and in Nigeria to be acknowledged by the whole and generations to come. 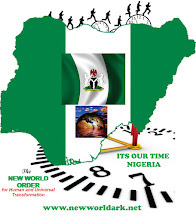 Ø By this, Nigeria will lead the world in greatness and have godly leadership. It shall be greatly miraculous. 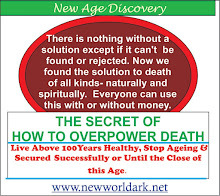 Ø Everyone sponsoring evil shall not continue or be changed to do God’s will. Ø All TYPES OF EVIL PLANS shall be destroyed just as it was with the Israelites on the day the left slavery. 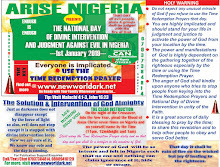 Ø JUST DO YOUR PART: Pray daily by the time and also do so faithfully on God’s appointed date (31st December 2018- 1st Jan 2019) in unity. Use the time especially the night for daily devotion constantly. This is a great DUTY AND PERSONAL RESPONSIBILITY TO PRAY according to God’s instructions (will/time/plan) even as being revealed. 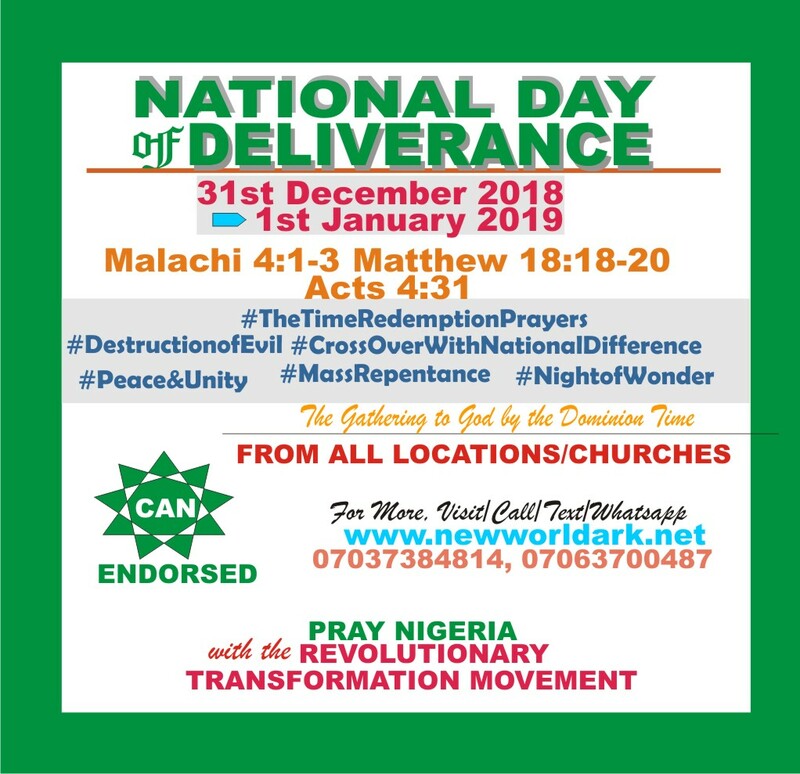 The preparation has begun and using the Dominion time in the Time Redemption Prayer is God's all round protection system being revealed and for all round breakthrough and for mighty and visible divine visitation against evil DAILY. 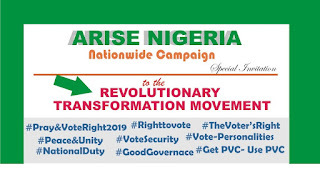 There shall be social, political and economic interventions in the lives of the people in Nigeria and Nigeria will record miracles that should be referred to in all generations to come. Watch! The final fight is always won by good not evil. Watch out but you are already in the midst of the battle. This should make you understand that offering yourself in obedience to God even by the time is better that making sacrifices of gold and silver. 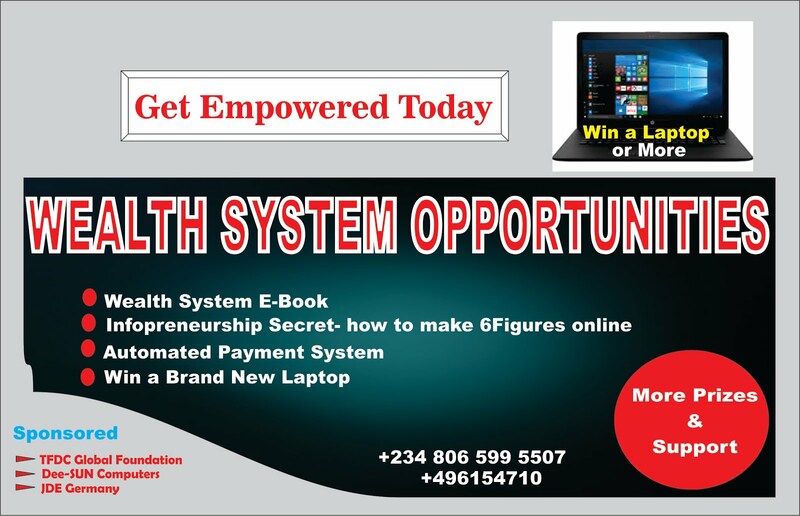 Let us win a victory for Nigeria and the entire world- This is the time and the instruction is duly served. 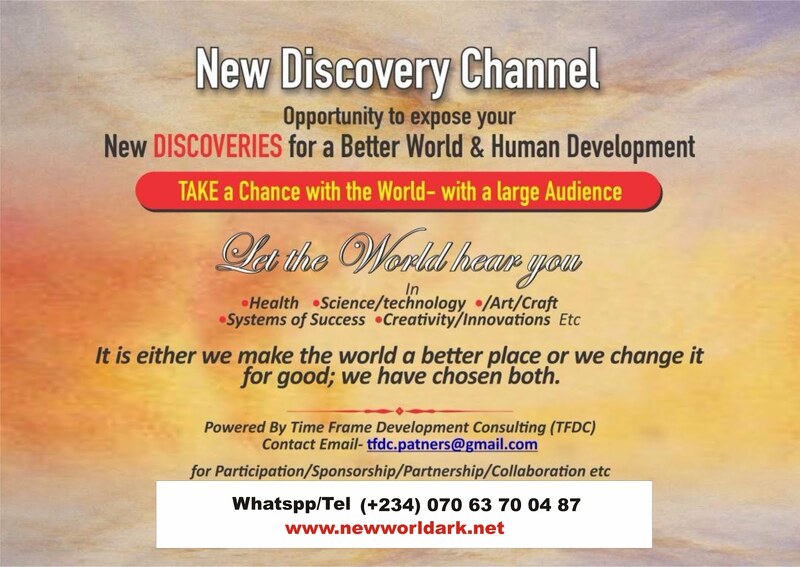 Life is meant to be lived and/or ended for the good course to better humanity and creation. This is a universal course with you being leader of creation to take charge of your day daily as instructed by God in union of faith with others. 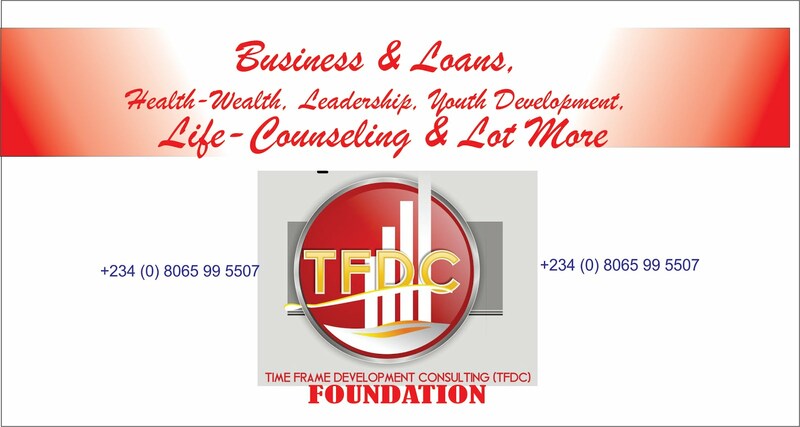 We are in a selfless service by the time daily- Do not give up for God is able to reward you abundantly. 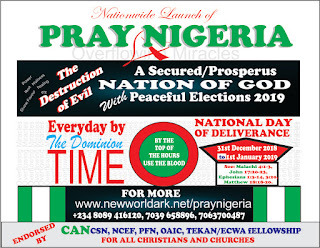 Nigeria shall be delivered into the glorious liberty of the sons of God- and it is through the Time Redemption Prayers. Beginning from this day and for the next seven days, I encourage everyone to be steadfast in the Time Redemption Prayer for God has show great and mighty interventions and open doors. 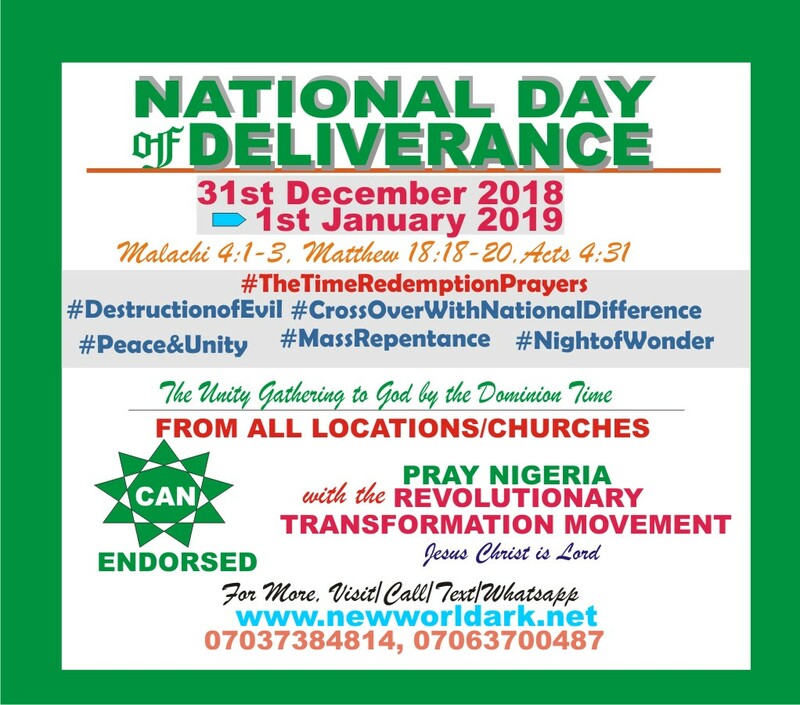 Therefore take heed obeying or using the Time Redemption Prayer which is the provisions or requirement of this great prophecy and move of God until the evidence is bright enough in Nigeria and in your life. 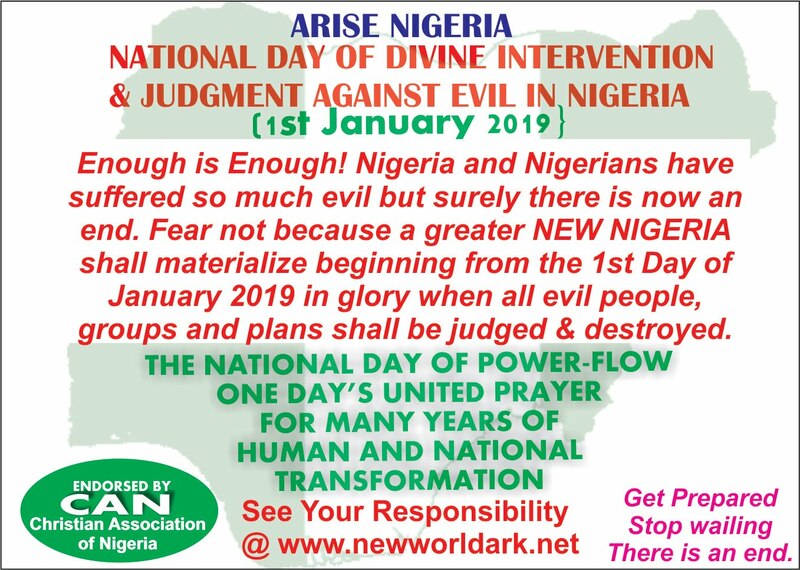 The fact is that Nigeria is under siege and cordon of evil, bad leadership and selfishness such that it is only the greater intervention of God that would do better now. But there is a way out- that is the God news and a great new beginning is being put to birth. The world will fear God and respect Nigeria by this. Nigeria is glorified and so you shall be. Cure to Spiritual Iniquity: In Nigeria, there no longer be more churches and many evil prevailing; there shall no longer be more Christians and less knowledge of God; there shall no longer be much prayers with little success; there shall no longer be disunity against the body of Christ. This (the Time Redemption Prayers) is the right solution of the time. Praying by the time is to pray for all: for your country and family and it is a sign of great faith. You may be asking how it is demonstration of great faith in God. And I will show you how and why from the scripture. For instance, there were only two people in the gospels that The Master Jesus said they had or exercised GREAT FAITH and these two persons had a common ground of praying for someone else. 1. The Military Captain of Capernaum: Although the military man was doing some faith works having built a synagogue single handedly, he prayed on behalf of another; that is, for his servant who be regarded a slave as at that time. 2. The Canaanite Woman: Jesus called her FAITH GREAT as she prayed persisting for her daughter to be healed. The healing was received and she was noted and praised to have great faith by the Master. Great faith makes you receive your request and makes you a generational blessing. Beloved, as you stay praying by the time daily and tonight for the world, Nigeria and others....the Lord will surely visit you in Jesus name. Amen. He that waters shall be watered also. Truly the time is perilous but everything has a solution. And the solution to the perilous time is for you to use the TIME REDEMPTION PRAYER against all odds. 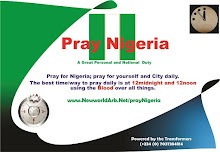 The times will get more perilous or harder for all those who are not redeeming the times in prayers. 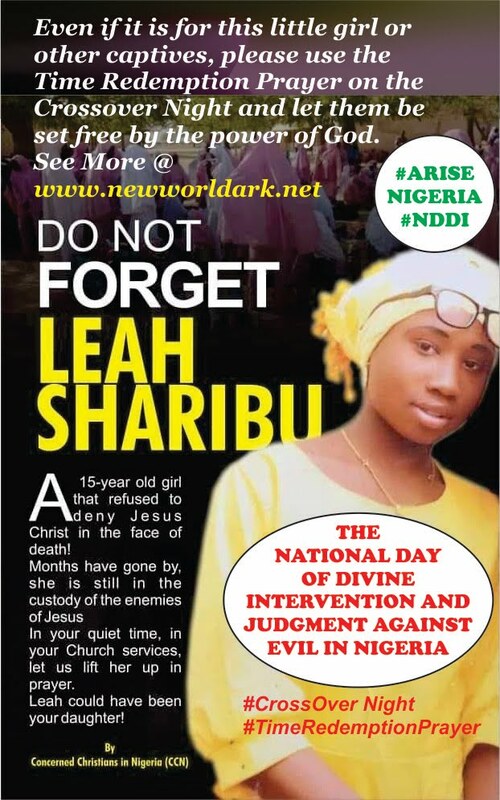 There shall be great repentance in Nigeria. 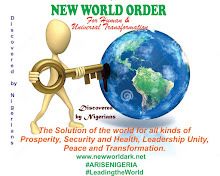 Nigeria will soon be transformed to lead the world. Evil people shall be paid off. Start or continue doing good today. God’s judgment shall be hasty and quick against evil. Nigeria will be prosperous enough to export the Gospel to the world. God has shown clearly without ambiguity what we should do to defeat evil and have victory to regain the dominion in Him. We will do just that; we shall not keep prophesying; we are fulfilling the prophecy. “Can a blind man lead a blind man? Will they not both fall into a pit?”- Do not those who are blind to God’s purpose and order to be leaders if not the work may be in vain. Good intention alone is not enough but the know-how and so it is now. Those that should be voted into public offices are those who understand or are using God’s revelation of the Time Redemption service. This is because they will understand the times and know what to do better. Scriptural expositions show that David used this order of understanding the time to be anointed; defeat Goliath and to succeed massively as King (President and Commander-in-chief of the Armed forces) of Israel and so also was Daniel and the three Partners. Jesus the Master lived squarely by the order as obedience to divine ordinance of success. Vote the one (man or woman) who is using this- IT IS TIME. 3. How The Master Jesus Christ used the time in prayers to triumph against all odds. 4. How the early Disciples individually and collectively used it to triumph evil and terrorism. Let every man know this in order to be saved safe and prosperous in God. Please show and distribute this to all people and tongues about the move of God. · Connect with the nationwide awareness creation through PRAY NIGERIA and ARISE NIGERIA.